VegasTechFund-backed Fandeavor uncovers the best things to do before, during or after a game or sporting event. The startup finds curated sports travel packages, exclusive VIP experiences, tickets to games and even expert tips on how to make a fan’s gameday more enjoyable. From pre-packaged experiences to the ability to work with one of the company’s gameday experts to create something custom, Fandeavor has something for everyone. Fandeavor’s customers are people who love to travel and attend sporting events. The team’s goal is to provide a product that makes it effortless for them to research and book an otherwise complicated travel itinerary to a live event. The idea for the company started while founders Dean Curtis and Tom Ellingson were working at Zappos. 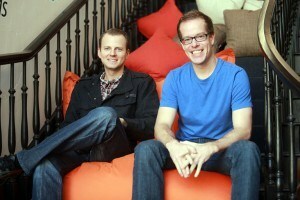 With the backing of Zappos CEO Tony Hsieh, the duo left Zappos in 2012 to work full-time on building Fandeavor. As one of the first companies in the VegasTechFund portfolio, Ellingson and Curtis have watched the Las Vegas tech scene grow in downtown Las Vegas. Since the launch of the company, Fandeavor has received national press, including this piece by CNBC. In addition, 2014 was the best year for the company. The team hit many milestones including over $1M in annual sales for the first time. The Fandeavor team says this is just the tip of the iceberg. “We’re in the process of hiring and just opened up an office in Dallas to take advantage of the huge success we’ve had providing Dallas Cowboys experiences, as well as to support our largest customer base,” Ellingson said. The Fandeavor team has big goals on deck for 2015.